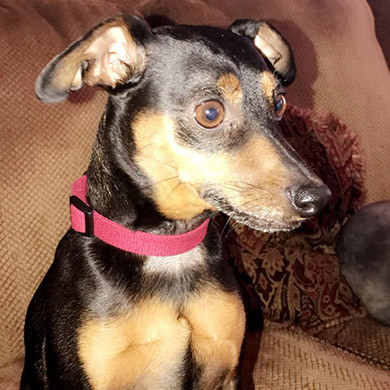 Brutus is a Miniature Pinscher. He is 3 years old and full of energy. 9 lbs with 110 lbs of attitude. He loves people but has to let you into his “inner circle” first.